Visit the SAGE Center at Boardman, Oregon! 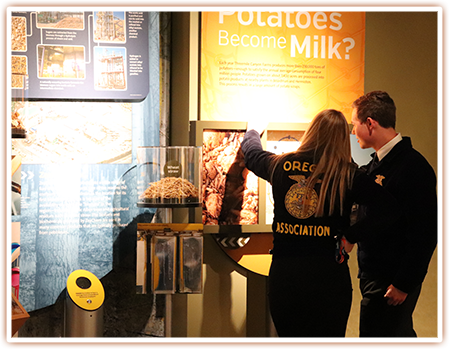 The SAGE Center is an interactive visitor center that highlights Sustainable AGriculture and Energy. Developed by the Port of Morrow, the SAGE Center gives visitors a unique opportunity to learn about the technology that takes place locally within the Port of Morrow and region without visiting each industry. In addition to serving as an interactive visitor center, the SAGE Center offers a unique setting for various events and functions. We Have Tillamook Ice Cream! End your visit with a delicious bowl of Tillamook Ice Cream! Actors of all ages are needed to appear in a commercial for the SAGE Center in Boardman, Oregon.